Personal identity and the presentation of self and family through commissioned works of art became important tools for bringing into the spotlight individuals jostling for power in the newly competitive environment of fifteenth- and sixteenth-century Italy. A new self-awareness resulted in the defining of personality, both for oneself and for others. This unit outlines the different ways in which individual identity was expressed in Renaissance art. 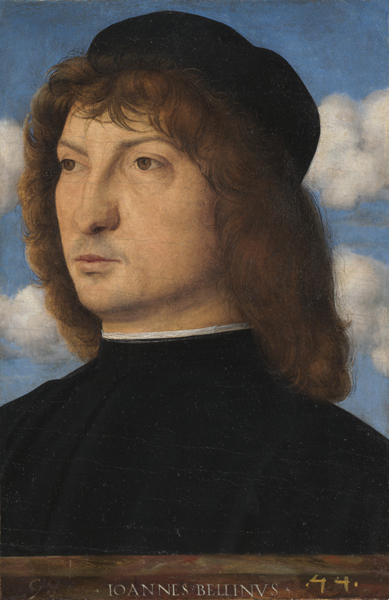 Portraiture was a major expression of self-presentation, and the essay highlights the range of portrait types that developed in Italian Renaissance art. Also discussed here is the phenomenon, for the first time on a large scale, of portraits of women, many commissioned by men and some commissioned by women themselves. The home became a stage for conspicuous and finely tuned display. Objects that announced prosperity and wealth were favorites for home embellishment. Paintings and sculptures were commissioned to celebrate the family’s lineage. The bedroom became a favored site for pointed messages attesting to the virtue of the inhabitants as well as promising fertility. The unit also includes an examination of the ways in which one family, the Medici of Florence, used art in varied media to focus attention on their status, ambitions, and expectations.